Lectures Coordination Board hosted journalist Noor Tagouri last Thursday, Feb 18. Tagouri has become famous for being the first hijabi journalist on a commercial TV news broadcast. 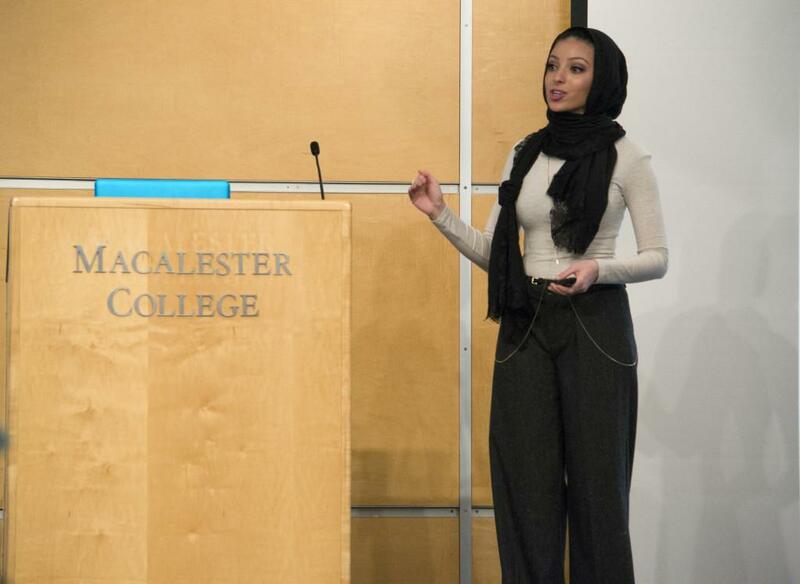 Tagouri spoke about melding her journalistic and hijabi identity.Photo by Will Milch ’19. 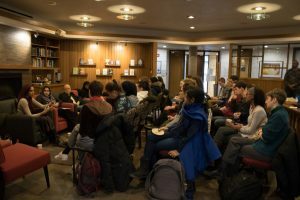 Last Thursday, Feb. 18, the Lectures Coordination Board (LCB) presented their first speaker event of the year in the Alexander G. Hill Ballroom. The event featured Noor Tagouri, a young journalist dedicated to becoming the first hijabi journalist on commercial TV in the United States. Tagouri’s determination and the launch of her social media campaign #letnoorshine in 2012 have brought international attention to her attempts to break down barriers on commercial television and elsewhere. Zacharia recognized that the audience was slightly smaller than it could have been for Tagouri’s talk. At the same time that she was going through her identity crisis, though, Tagouri had a strong sense of the work she wanted to do in the world. Eventually, her parents noticed the struggle that Tagouri was going through and moved in order to place her in a different schooling situation, in a private school outside of Washington, D.C.
During this time, Tagouri has received plenty of pushback for her aspirations, and touched on the specific difficulties that journalists who are hijabi or people of color have in this field. The event ended on a strong point and also included a question and answer section with audience members. Prior to answering the many questions the audience had for her, Tagouri spoke to her conviction in her own dreams and in the importance of others standing up for theirs.